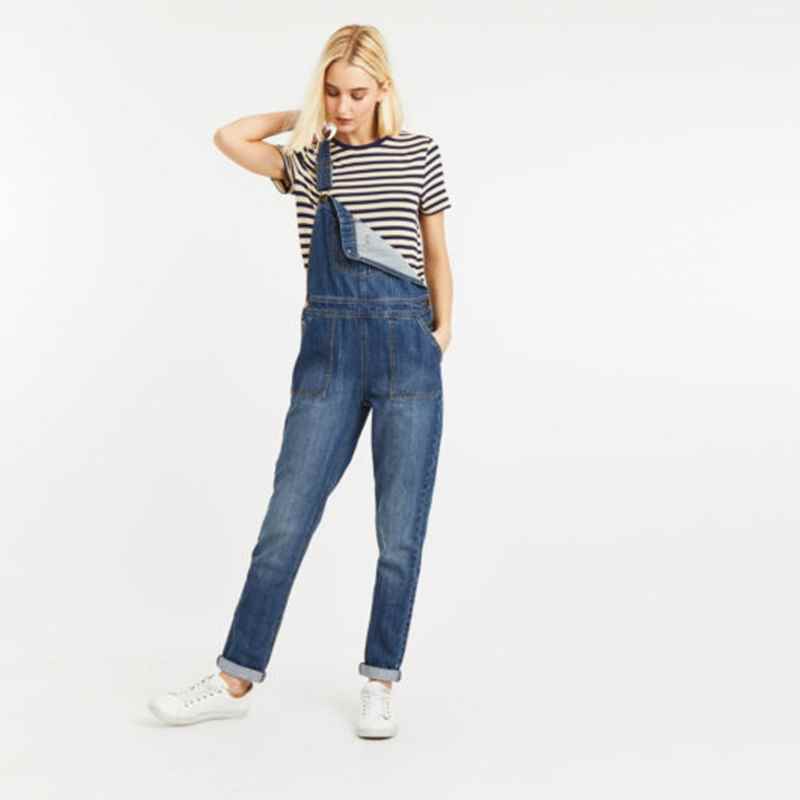 You’ll either love them or you hate them and I totally appreciate that they are just not for everyone…but I’m a dungarees convert even if my husband finds them the most repellent piece of clothing in my entire wardrobe. My kids think I look like Stinky Pete from Toy Story and my husband can’t even bring himself to look at me in them, let alone speak to me! Hey ho like I said, they’re not for everyone. 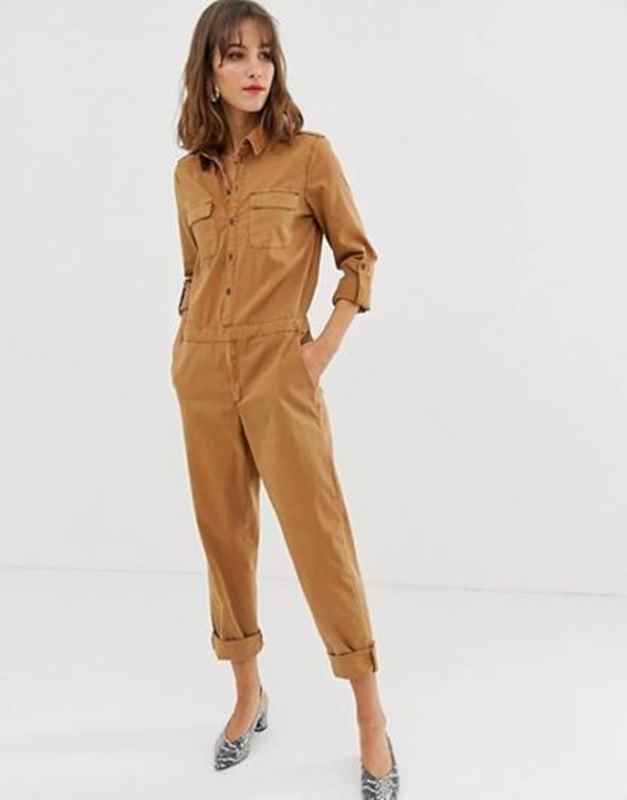 And while we’re on the subject of controversial clothing, the boiler suit is another of those pieces, but one which is having a real fashion moment. 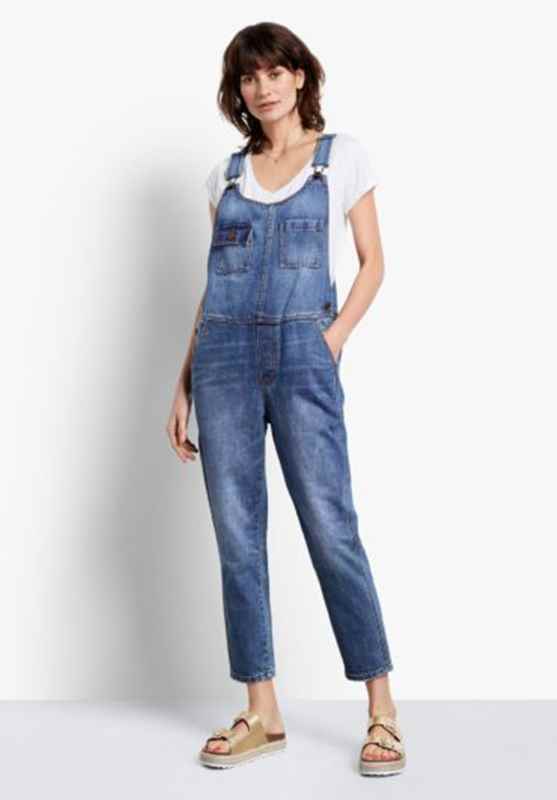 Got to say I love a pointed flat with a pair of dungarees. I like the raw hem on these if you choose to wear unrolled. These are all sold out except in a 10 but stores definitely had stock. They also come in a blue wash which is fully in stock across all sizes. 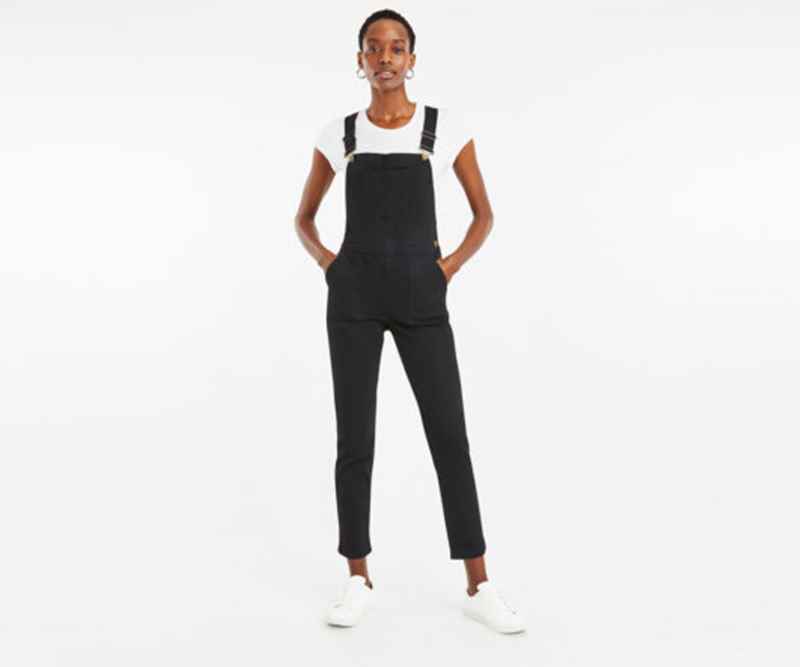 I like these because of the slimmer leg shape and they also come in petite which is useful as I ended up buying mine from the kids’ section at John Lewis. The shame! 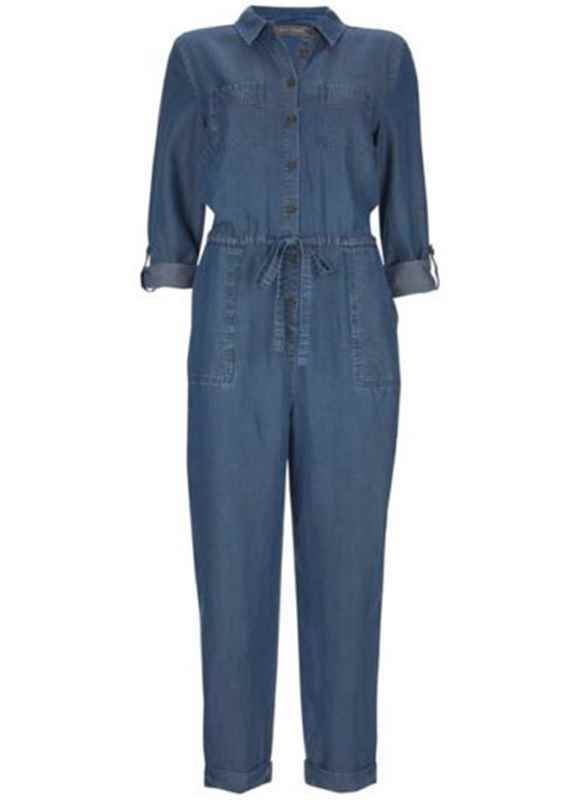 And here is the link if you want the blue denim. They do say they come in tall on the website but try as I might, I cannot find them. 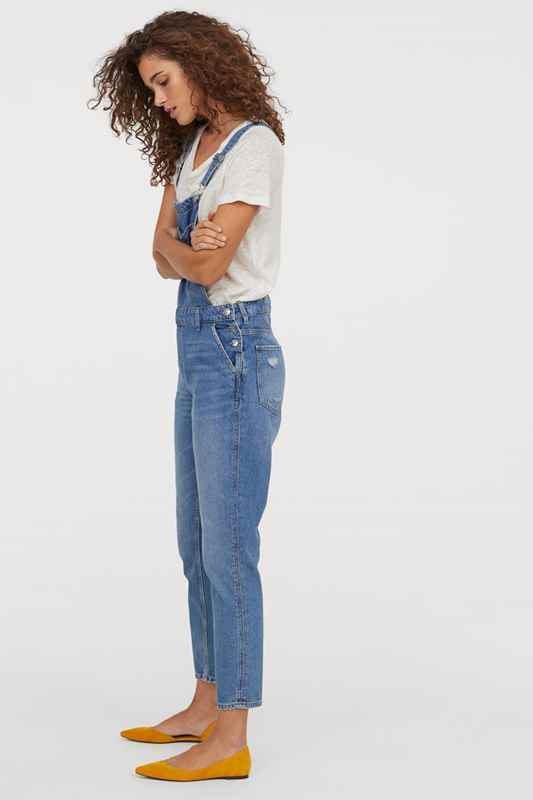 The majority of H&M’s dungarees have a skinny leg which I am not a fan of. That feels way too teenage but these have a really good leg shape which is the right amount of loose. 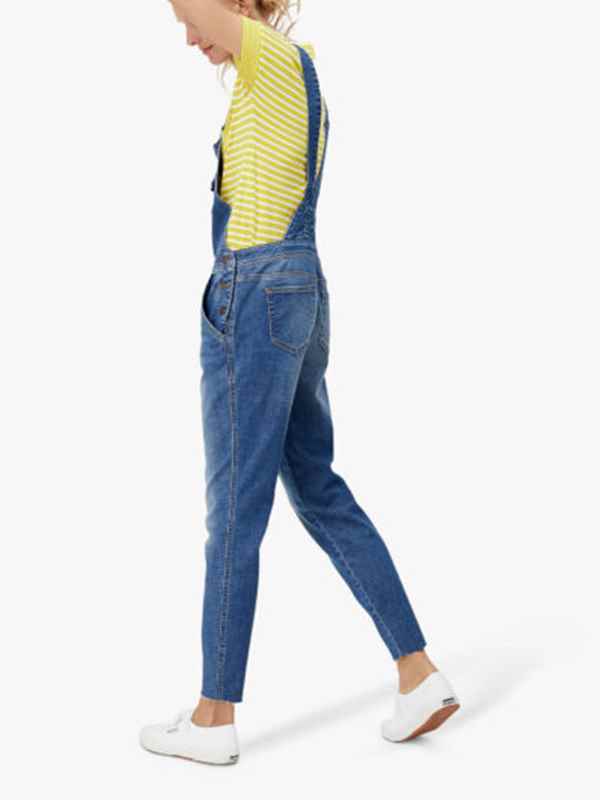 And don’t think of dungarees as just for casual. I actually prefer them styled with a smarter shoe like a flat or even a heel and am definitely going to be wearing mine with espadrilles come the summer. Plus, add a longline blazer to finish off the look – as here. They really are so much more than for kicking around in. 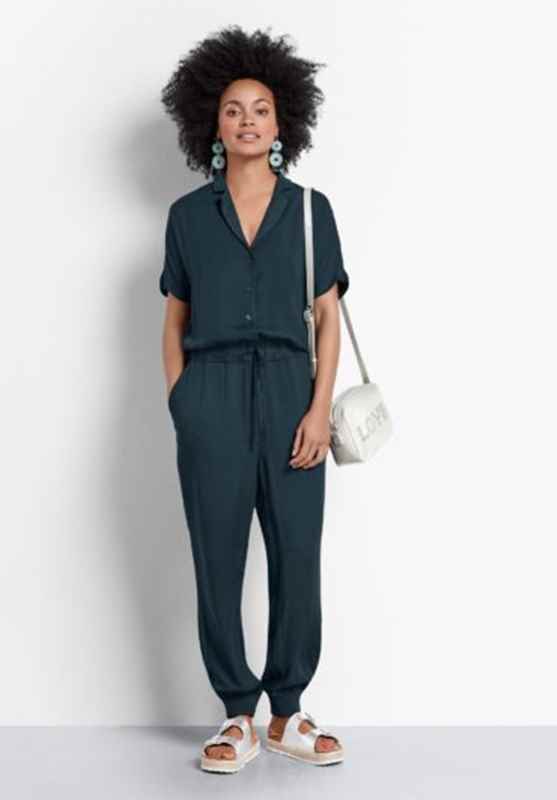 There’s a fine line between and jumpsuit and a boiler suit but the latter has full length sleeves and is definitely in the utility/overall camp, while the jumpsuit can be a much more varied bit of kit. This also comes in a dark navy which is fab. Dress up or down – this is a versatile number that is a total winner which looks gorgeous on. 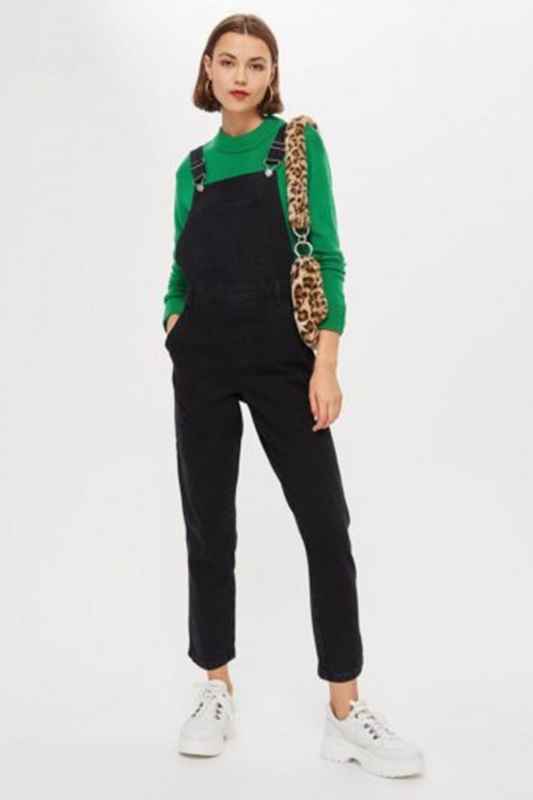 Think I am straying away from the boilersuit here but it’s very lovely and wanted to include as is a dressier option (there is a little bit of beading on the sleeves), without being over the top. I can see this one being a total no-no from the husband but what does he know! 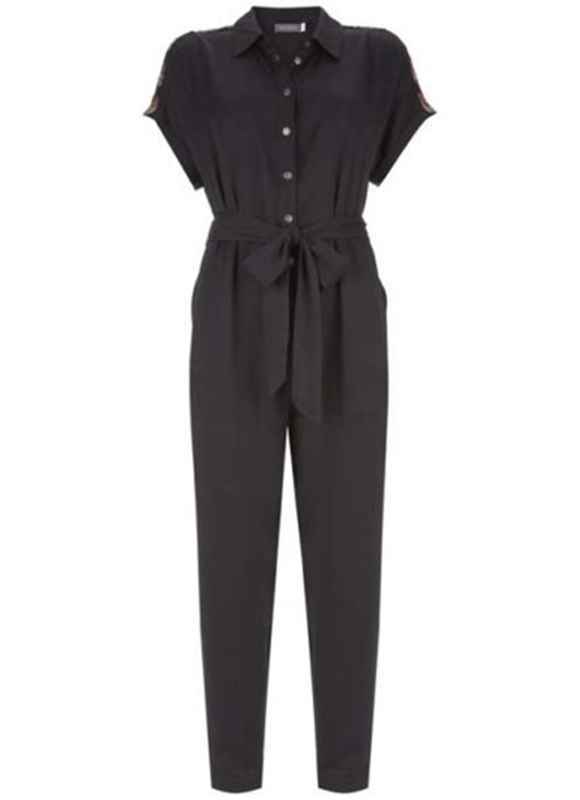 I have this in black and it has been a total winner – undoubtedly one of the best out there. 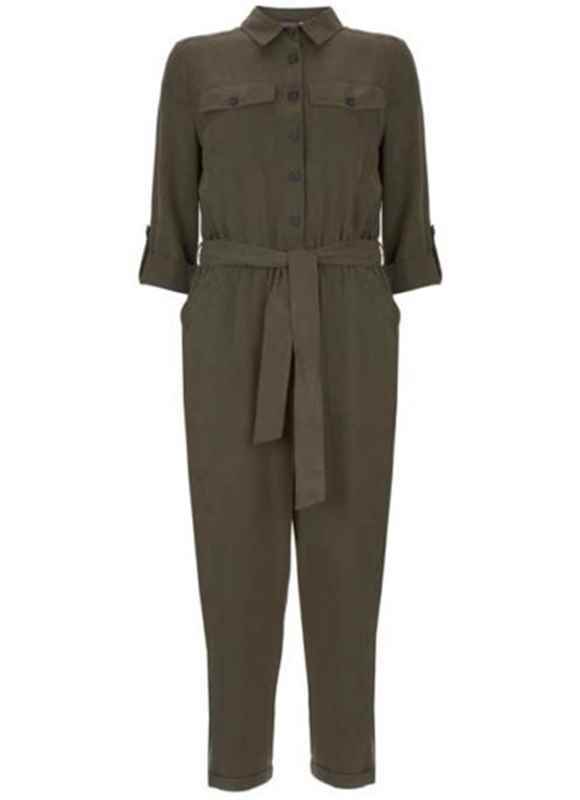 I know it’s not a boiler suit but if you want a jumpsuit then this is the one. I like this for being khaki and for the contrast piping. It also looks good worn with the snakeskin flats rather than trainers. This most definitely is one of their trending products and is already out of stock in several sizes. And despite myself, I have to say I quite like the look with the boots too. I absolutely love the colour of this style and another win with the boots, making these more versatile then they may have originally appeared. Think these are growing on me and I love how this is styled with a heel as it really helps to feminise the look. So where do you stand? Are you a lover or a hater?